Is your stag a football lover? Then the ultimate football experience should be at the top of your list of things to do during your stag do celebrations! 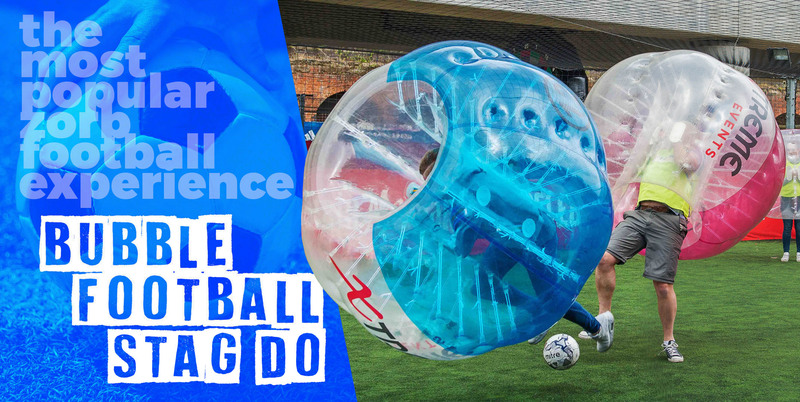 We bring to you Bubble Football, or Zorb Football or whatever you want to call it – it’s absolute football carnage, perfect for a stag do. And if it’s good enough for Lionel Messi its good enough for your stag. Yes, that’s right - this hilarious version of the sacred game of football was played by Barcelona FC! But what exactly is Bubble Football? This epic game is pretty simple and easy to understand – but it offers much more than your ordinary football experience, which is why it is one of the most popular experiences available. 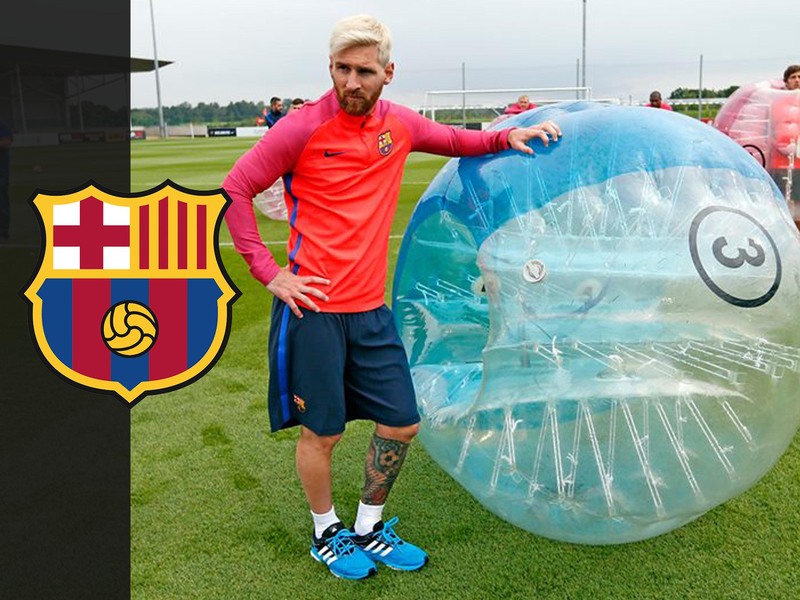 A quick explanation of this stag do activity is your classic 5 a side game of football with an addition of some huge inflatable bubble suits. After a quick warm up and a brief of the rules on what’s about to go down, you and the lads will be able to climb into your inflatable zorbs! Much like your ordinary game of football you and the lads main aim will be to get the goals in but of course this will become pretty impossible. Due to the fact that you can’t even see your feet! This addition to your stag weekend is great if you have some football loving stags but you also want to have some fun. Luckily for you we also offer this hilarious bubble football stag do across the UK – most of our venues are also close to the city centre. Perfect for sorting your transport to this football experience and easily getting back into the city for a well-deserved beer. If you want to find out more information on this crazy activity, then continue onto the Bubble Football Stag Do page. Or enquire today here or by calling 0161 341 0052.